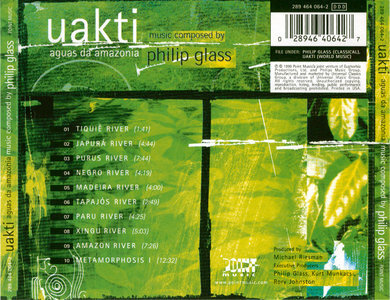 The music on this disc represents one of several collaborations between American minimalist composer Philip Glass and experimental Brazilian percussion group Uakti (say WOK-chee). The members of Uakti make their own instruments, both conventional and invented. Their collaboration with Glass is not simply a matter of performance – in this work, commissioned by a Brazilian dance company in 1993, they actually adapted Glass' materials for their own instruments. The first nine movements of Aguas da Amazonia (Waters of Amazonia) consist of the names of Brazilian rivers; the tenth movement, "Metamorphosis I," was added later, with instrumentation similar to the first nine. The combination of Uakti's tropical percussion instruments with Glass' slowly evolving, almost static music is magical. Uakti deploys instruments that differ slightly in timbre to realize the rhythmic cycles in the music, often with an electronic keyboard as background. There are two different kinds of marimba, one made out of glass and the other of a Brazilian wood, angelim. The grand pan that appears in several pieces is not a Trinidadian steel pan but a large idiophone made of lengths of PVC pipe, cut with aligned ends (panpipe-fashion) and struck with mallets. There are other percussion instruments of various kinds, flutes, and an occasional piano. 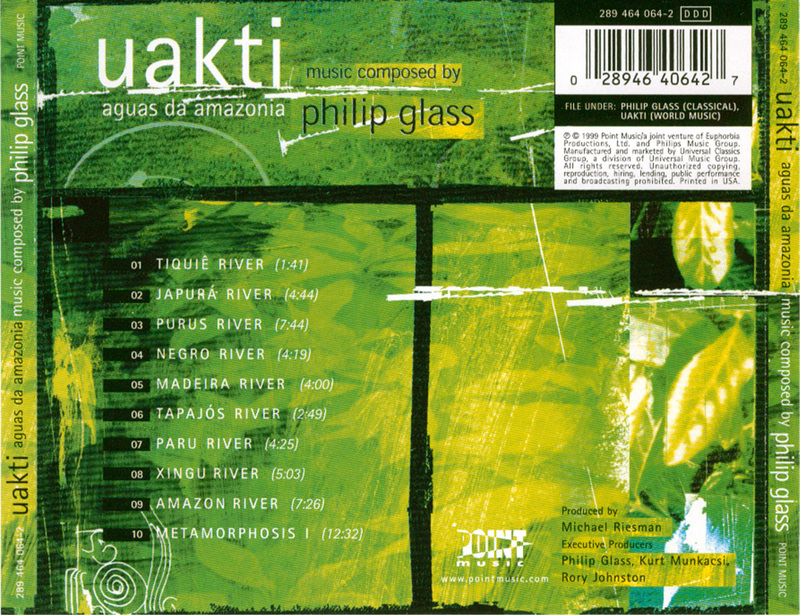 The movement sequence leads into denser music, backs off to sparer textures, and brings all the instruments to bear in the final "Amazon River" and "Metamorphosis I" movements, which also contain the only tempo variations in the whole work. 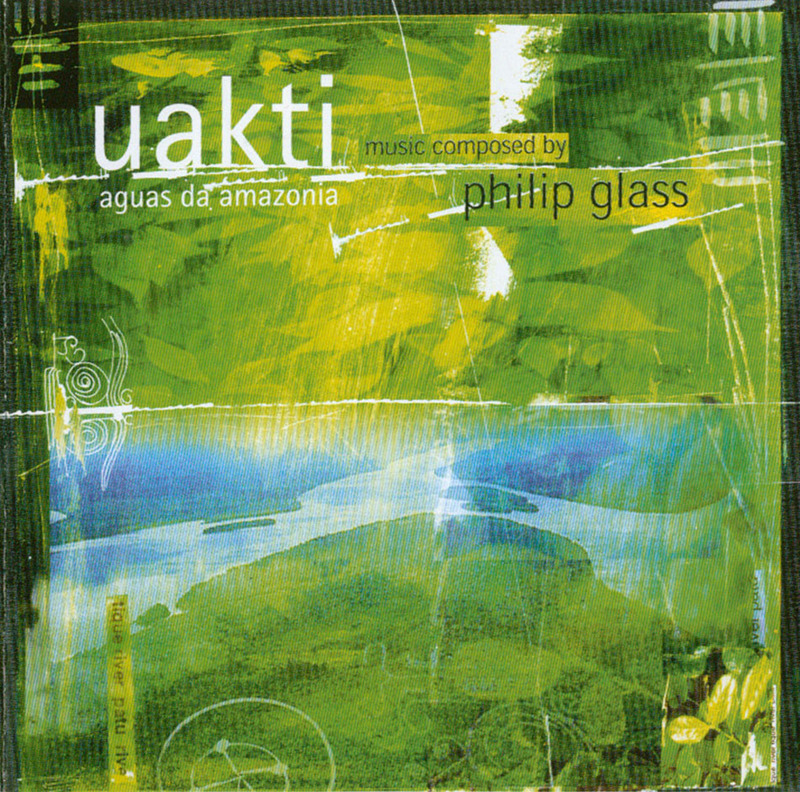 Despite the homogeneous material, the music is never boring; the hypnotic sounds of Uakti's unique instrumental textures attune the ear to the slightest alterations in the music – an ideal situation for Glass. This is one of the more successful Glass releases of recent years, and it is recommended to anyone who enjoys percussion music in general.